I love love love to travel, it’s an addiction of mine and the only help I need is how to do it all the time. When it’s time to travel I automatically go into a budget mode to make sure my vacation is fully maximized for good times. I never want to leave a place and didn’t do something because my coins weren’t right. Who doesn’t want to catch a view in Venice, zipline in Costa Rica or recharge in Bali? Financially it can be a challenge but it doesn’t have to be when you plan and start early to make all your dreams come true. 1. Research When you decide where you want to go spend hours and hours online trying to find everything out about the place. My resources are everything from Pinterest, TripAdvisor, YouTube, and travel blogs. My vacation I am currently planning I have been talking to someone from work and it’s their home, you can’t beat that knowledge. Aim to capture how much your travel is going to cost. Airfare, rental car/gas, lodging, food, activities, shopping and other things that may require your coins. Cost is the biggest factor. I have a hard time telling myself no and I tell myself to get it all in. YOLO!!!! I don’t think I should recommend that it doesn’t sound responsible lol. Create a budget that works for you and allows you to live within your finances. Travel can become very expensive when it’s not planned. If you are like me you will still have financial obligations when you return home. Bill collectors don’t care you went on vacation especially if you didn’t invite them. Here is where you start to cut back on things. Make your own tea/coffee in the morning, pack more lunches, and stay out of stores. The money you save here and there turns into an amazing dinner, excursion, or souvenir purchase on your travel. Book as much as you can in advance. The longer you wait the more expensive things will become. It is not often companies drop their prices the closer it is to your travel. I have learned the hard way telling myself I would book it tomorrow only to roll over to a significant price increase. It hurts and the facial expression can’t be explained. Transportation such as airfare, taxis, and ferries is best booked in advance to have a stress free transition into enjoying your vacation. When booking hotels and airfare shop around a bit and do some price matching before purchasing. *If you are using a credit card aim to pay that off before your travel so you don’t have to come back to the bill. After researching, budgeting and organizing unexpected things can still occur. The unexpected will be a surprise but it does not mean it has to slow you down or ruin your travel. What if your luggage is lost, or purse/wallet full of cash goes missing? You want to be prepared. Today marks the first official day of summer!!! 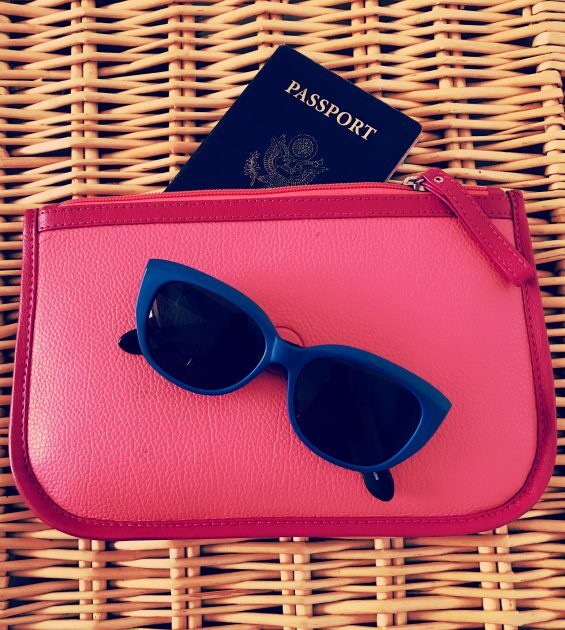 Where do you plan to travel this summer? I don’t have any plans for Summer travel but your tips are great!